M.O.T. in Hand & Musculoskeletal Conditions from Manipal University, Karnataka. B.O.T. from Ahmedabad Institute of Medical Sciences, Gujarat. 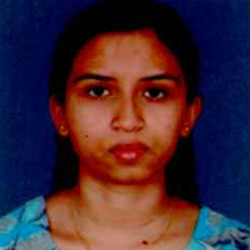 Pritu is a certified Occupational Therapist from All India Occupational Therapist’s Association and certified Hand Splint Therapist from MAHE, Manipal, Karnataka. She is currently based in Chennai. She has worked in private set-ups, NGOs and been a visiting lecturer of Hand Splinting in a Blind Physiotherapy College. She has vast experience of serving special needs children along with designing and fabricating hand splints and adaptive devices. She has presented various papers in National Hand Therapy conferences. She has been keen to be part of Multidisciplinary team and willing to serve clients in need.